We are looking for compatible wellness professionals who would like to sublease office space. This is an excellent opportunity for anyone interested in growing their practice. 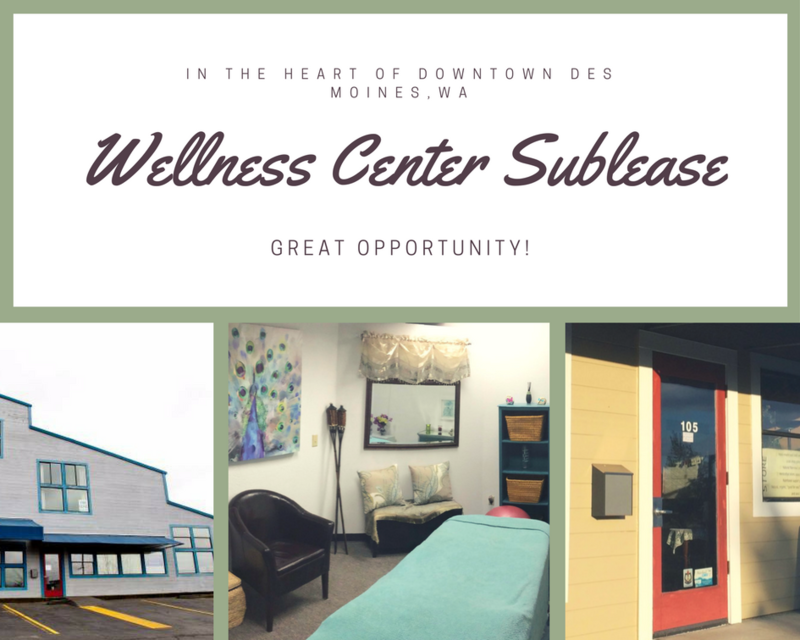 Become part of a beautiful wellness center in the heart of downtown Des Moines, which includes 5 treatment rooms and a total of 1,281 square feet. It comes with a shared reception area, convenient parking and ramp for ADA, public ADA compliant restrooms, private restroom in back, hook-ups for washer and dryer as well as air conditioning/vent heating in all rooms. The room is 8 x 10 feet and can be rented for $450 per month. Rent includes all utilities, internet, water and common area maintenance fees. Please call (206) 878-9355 or email actessier@gmail.com to set up a time to come and see the available space. This is a great opportunity at a great rate, so don’t miss out!